Are you overwhelmed by wedding planning? 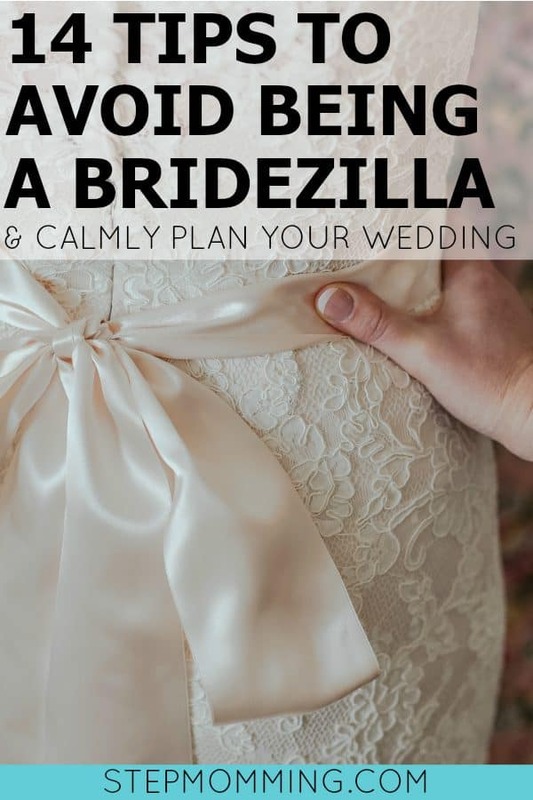 Or are you crazy like me and overwhelmed at the thought of potentially one day becoming overwhelmed by wedding planning? It’s enough to make you want to elope, am I right? I’ll Show you the Road Less Traveled to Becoming a Blushing Bride. Trust me, It Takes One to Know One. You must prioritize if you’re going to stay sane while wedding planning. Tackle the most important tasks first. Honestly, you may not get to everything, so work your way from most to least important. Begin wedding planning as far in advance as possible. Giving yourself a longer runway will help you avoid those pesky time crunches that can drive us all a little crazy. Plus, you get better deals (yay staying in budget!) when you have time to shop around. Delegate!! Use your Maid of Honor, Groom, and Mom/Mother-in-Law to help you tackle your list! No man is an island, and it takes a village. You’ll accomplish so much more when there’s a team working to achieve the dream. Do not play into politics! If you listen to nothing else I have to say, hear this. You and your groom are the most important people at this wedding. You can’t please everyone, and you’re going to stress yourself out trying. If you want to keep calm and cool during this season, you’ll have to sit the politics out. Invite who you can, don’t invite who you dislike, and feel free to play the “bride” card a select number of times if you absolutely have to. You’ll know it when you see it, so just trust your gut. It took weeks to make a decision on the flowers I wanted for the wedding, but as soon as I found the vases I wanted, I knew exactly the floral arrangements I wanted to go inside. Don’t settle, and trust your instincts. It’ll make decisions easier and keep you calm and relaxed. 6. Better safe than sorry. Don’t forget to make a rain plan – just in case! I was tempted to take a screenshot of the weather forecast the night before our wedding, but I didn’t because I didn’t want to be a Debbie Downer… But you’d laugh if you saw it! Rain all night and all day with storms forecast at the wedding start time. Luckily, we knew our rain plan. We could either get married at the pavilion on the beach, rent a church on island, or hope the rain went away… We opted for the latter and were pleasantly surprised! BUT, not all couples are as lucky as we were – know your rain plan just in case! 8. Love what you do and do what you love. Don’t stop dating your fiancé! Just because he’ll soon be your husband does not give you permission to stop dating him in the interim. Dress up, go to dinner or out on the town, or snuggle up at home… Just don’t stop showing each other you love one another! You only have a fiancé for a few more days, you know! 9. The light at the end of the tunnel. When you can see that light at the end of the tunnel but still have some final details to hammer out, get your crew together and finalize those last minute details. I visited my mom in Houston one weekend about a month before the wedding to finalize all of my final details. We had a list 2 pages long, but we prioritized, delegated, and attacked! This really allowed me to head into that final stretch with a clear mind and calm attitude. 10. A penny saved is a penny earned. Stick to your budget! You set it for a reason! You do not want to begin your married life together with a mountain of debt from one night celebrating your love. Marrying the love of your life is the most important part – not if you spent full price on flowers or rented a limo for the exit. Find deals where you can, cut costs where possible, and save money! 11. Icing on the cake. Perhaps my favorite part of wedding planning and the single biggest contributor to me keeping my cool throughout the process was being in the moment for each of the celebrations leading up to the big day. We had a celebration with our families the night we got engaged, a bridal shower, a wedding shower at work, and a “rehearsal” dinner the night before the wedding (we didn’t actually rehearse anything – just got together and ate/drank on island the night before!). Each celebration was a mini-wedding for me: a time to reflect on and savor the love I had found. The more you can remind yourself of the meaning behind your wedding, the more calm you’ll be. At the end of the day, does it matter if the roses weren’t the perfect shade of ivory you requested? Does it matter if you tripped walking down the aisle? Will anyone have cared if you hair stayed in its perfect updo or ended up in messy curls all over your shoulders? Probably not. When your wedding day is over, what matters is that you are married to the love of your life. Nothing should detract from that. 14. Go with the flow. Just go with it! Guests don’t know what your original dream or image was, so they probably won’t even notice something went wrong. Even if they do notice, who cares! It’s your day. Enjoy it as much as you can – don’t spend a single second worrying about something imperfect. A wedding is a beautiful celebration of a lifetime commitment to love and cherish your soulmate. Don’t let it stress you out. This is an incredibly exciting time! Cherish it, ladies! PS: Looking for some inspiration? Check out pictures from my big day.